Now let's have a look at the Russian army of the Great Northern War. During this conflict Tsar Peter I., the Great, turned a quasi-feudal, backwards Russia into an Empire by a strict policy of Westernization. 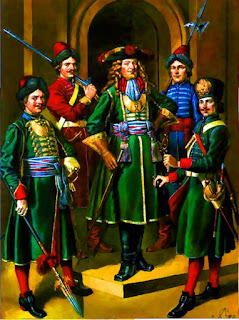 By 1709 the army mostly was dressed and trained as their Western European counterparts AND had developed tactics specifically to counter the Swedish tactics. 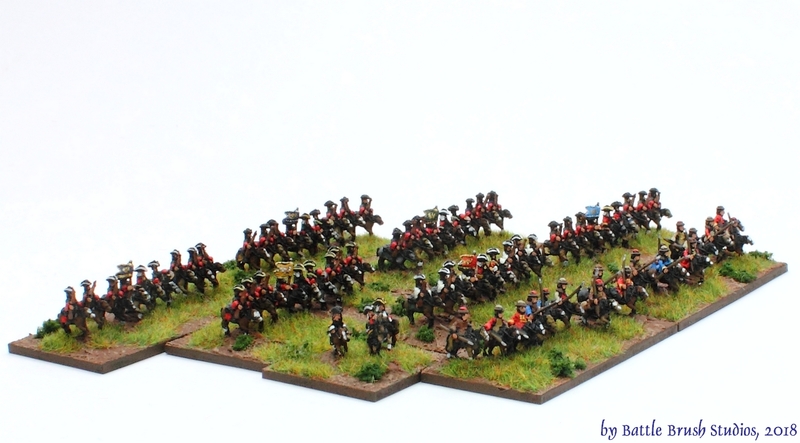 Cavalry was pretty much exclusively Dragoons, which were cheaper and easier to set up and used linear tactics such as say Austrian, Saxon or British cavalry. Again, I represented that in the placement of the figures on the bases. 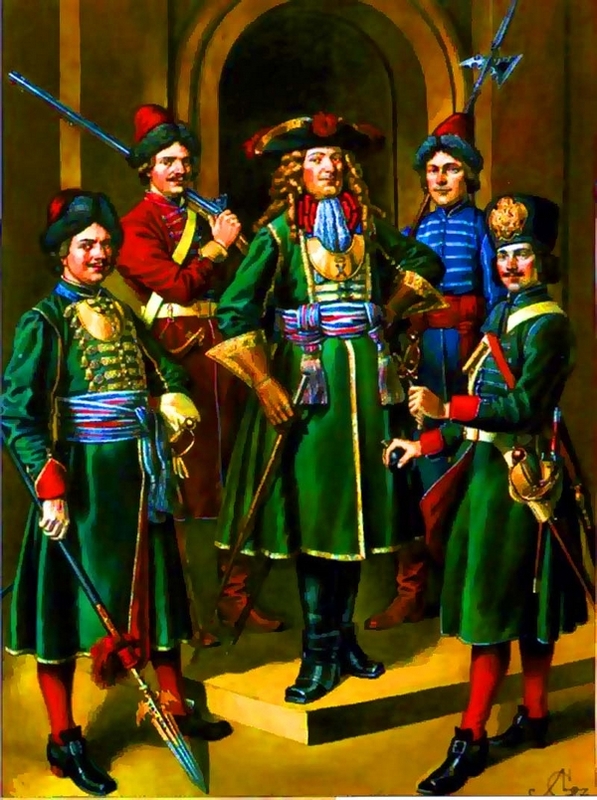 However, the Cossacks, as in any campaign in Russia, played a big role in this one as well. They were the hardy steppe people, constantly fighting among each other, Ottomans or anybody really. They still wore their traditional dress and carried their fearsome reputation. Some fought on the Swedish side on this conflict, others on the Russian side. In the photo you can see the two frontmost regiments being Cossacks. They fought in their highly effective irregular cavalry and raiding tactics, thus I put them on the bases in a bit more of a loose order and individualistic dress.